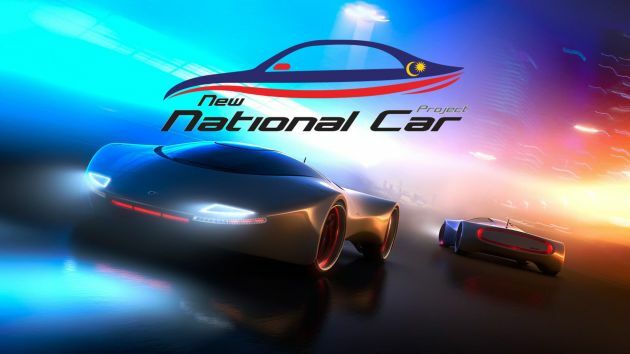 The new national car project (NNCP) has been a big talking point since prime minister Tun Dr Mahathir Mohamad mooted it in June, and Astro Awani reports that the he is standing firm behind his brainchild. At a press conference during the APEC Economic Leaders’ Meeting in Papua New Guinea on Saturday, the premier claimed that the automotive industry will be the driving force behind other sectors of the economy, particularly engineering. “A car is a kind of catalyst for other things. If you want to learn manufacturing of certain products, engineering-wise, you have to start with a car,” he said. Mahathir added that Malaysia’s past national car projects have allowed it to develop new skills that it would not have obtained otherwise. “To make a car, you have to make 4,000 different components and then put them together. It’s not easy, but we have mastered it in a very short time. Now we can design, produce the prototypes, test, do the clay models, everything. Even the engines, we can produce ourselves. The new national car is due to enter production in 2020, with a prototype expected to be ready by early next year. The Ministry of International Trade and Industry (MITI) has recently said that it has received over 20 proposals from the private sector for the project, which finance minister Lim Guan Eng said will not use public funds. It must be Lynk & Co rebadge, choose them, Tun! They are your best shot to Perotiga’s success! Support Tun vision for the country. Do not support those who always put > all to look down on others. Oh wai… University engineering study until PHD level, but tiny power window issues took more than 20yrs oso cannot solved , what master engineering rapid we talking about since 1983…? Vietnam VinFast 2017 established, 2018 Paris Motor Show announced 3 new car models 2019 production & a Electric Bike launched 2018. We need to build our name again as a good car maker. Malaysians suffered a lot with Proton because of the protectionism given to Proton. In 1985, you could buy a brand new Toyota Corolla for RM20k. Nissan 130Y was RM20k too. In 2018, the same Toyota Corolla (now called Altis) is RM139k. That is a whopping 700% price increase. The same Toyota Corolla in Japan has only gone up 50% in price from 1985 to 2018. So, how do you explain…..
Poor Malaysians, we have suffered so much with high car prices the past 30 years. With all due respect, Tun says it will involve private sector investment. Proton also started that way. Then halfway, as with all GLCs, they needed tongkat. We spent over RM20 billion to bailout Proton. Imagine how many hundreds of free Government Schools and Government Hospitals we could have built? We had a chance to get high tech car manufacturing via Dyson but no thanks to your stupid Government, we lost that chance and now we only have P3 to play with. Stupidity begets stupidity. The people’s stupidity shone with this choice of governance. Dyson said 60 years of corruption has made Malaysia name so busuk so they decided to go to Singapore. In 1985, you could get 250 Yen, and RM 2.50 for 1 USD. So 1 Yen was worth 1 sen.
Now you can get 110 Yen, and RM 4.20 for 1 USD. That works out to 1 Yen being now worth 3.8 sen. Your “Japan – 50% increase in price (from 1985 to 2018)” needs serious adjustment. if compared in RM, as it should be. Instead of doing a 3rd national car, why not do a 1st national plane or 1st national ship or 1st national combine harvester. At least the market is not as saturated. Government of Malaysia has the largest Civil Service in the world at 1.6 million Government Servants. We follow the principle that 10 people must do 1 person’s job. So creating 3rd national car, we can give such people free jobs also. dont talk crap..more than 1M of them are teacher, army, police, doctor, nurse, bomba.. teacher alone 500k. do you think doctor is enough? teacher? police? Syukurr la Malaysia bkn Venezuelar ..
Other countries also count their teachers, polis and nurse as Gomen servants. So, what are you trying to say? Other country have good private school & hospital with high income tax & high GST. No they dun. Aussie dun, UK dun, USA dun. All those countries that basher used to compare with? All those dun. So what r u trying to say? Then who pays the teachers and doctors of public hospitals in the UK and Australia? Do you pay them john? Tak masuk logic john, who will pay their pay? Private sector? Malaysia must learn from Singapore how to have hardworking Government Servants. No they are not classified as public servants. Their salaries comes from their respective state governments but that doesn’t make them a Federal public servant hence they aren’t categorised as such. And much of their payments are done via high insurance rates so the states aren’t burdened by it but the people there are. Our well qualified fresh grads wun end up Grab driver, Youtuber or E-gamer .. Copy pasting “Without these 1.6million Government servants, who will keep you safe at home, put out the fires you inadvertently started, ensure your security, keep you healthy, and enable you to travel? This is the problem when a leader are fed with inaccurate and sugar coated information. I wonder which clown told him they have mastered car building skills. Its the same old malaysia after all. Only fools who believed otherwise. “To make a car, you have to make 4,000 different components and then put them together. It’s not easy, but we have mastered it in a very short time. Now we can design, produce the prototypes, test, do the clay models, everything. Even the engines, we can produce ourselves. Hahahaha the above quotes just pure bluff. Campro is developed with Lotus, transmission is all sourced outside so what have your Baby Proton Mastered apart from drawing/design and dishing free money to cronies to produce inferior parts? On the subject, why don’t we manufacture our own Computer, Mobile Phones at least we know iPhone, Intel, AMD also uses Malaysian made chips. Orso cordless vacuum cleaner and hair dryer. Theoretically only lah dear Mahathir. You have tried before. You had since the mid 80s up till your retirement in 2003 to make it work and yet all Proton ever did (well, mostly) was to rebadge other brands. The only other sectors you managed to spur during your previous tenure was a small select of Bumiputera middlemen who relied (and still relies until now) on AP. With the fast-changing industrial landscape and the onslaught of globalized players with lean and efficient manufacturing practices, how is Protiga going to compete? Another wave of protectionist policies? How is this Mahathir-led government going to be any different from the previously Mahathir-led government? To be price, it is the highest car prices in the world. We are actually more expensive than even Singapore because Singapore GDP Per Capita is 5X that of Malaysia. Try compare Axia or Myvi selling in singapore…. SGD220k still need to add 10X for COE, making that 528i SGD 2million. Even for that high paying Sing civil servant, SGD 2million is too high a price and that’s why you don’t see much luxury cars there as compared to this side of the border. Furthermore, 10 years later they need to scrap that car, who in their right mind will pay SGD 2million just to throw it away 10 years later? SG no car take public transport can go anywhere. Malaysia no car u jalan kaki kah? Where is your MRT. Bus? Mana ada COE SGD1.8 mil? Tolong jangan tipu ye. Let me help you voice up to Anwar. This has to be fair to Rakyat ! Mat Rempits, abandoned vehicles, beating traffic lights, no seat belt usage, tolls, poor public transport connections etc etc?? Also, engineering, jobs etc can be mastered using other than a car. EVs please & good charging facilities along with it. And how much did we spend to acquire those skills? To me if you don’t build rocket, you won’t learn about rocket science either. But is that skill that important? The Rakyat could easily skip that and do something else that is more profitable. Why not build rockets like space-x? 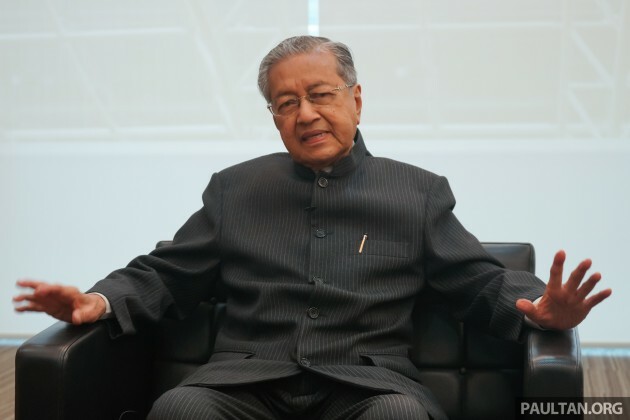 TunM is myopic… stuck in 90’s thinking. Public transport is better. Why not build newer better electric propulsion units for bicycle, scooters, busses and trains… big market in Asean alone for efficient, eco friendly, cheaper public transport like these. Tun, after 509, how many times you talk about 3rd national car project? Rakyat want abolish toll, want better economy, better living environment, but you don’t even care, you told us PH manifiesto is only for reference, not necessary to make it true, but all these national car project and johor bend bridge all is your toys, when rakyat ask you, you keep telling us is not your idea, is rakyat ask you to do, enough Tun, I think you better step down, because you keep denying what you are doing right now. P1 is good enough under Geely, 3rd national car is just a waste project. P1 n P2 not targeting different group of people, I just wish to understand who will buy P3? Brader, 2 years later this issue will be irrelevant to Anwar & rakyat . De facto leader will help us abolish or let go of this nonsense 4 good! Dear Tun, which “NEW” sectors in automotive industry that can be driven by P3? Sectors that not yet exist due to P1 & P2. If you are talking about driving existing sectors to higher heights, which direction? If P3 is all about creating another car manufacturer, what difference will P3 made? isn’t this is what tun said in the 1980s? the same excuse after almost 40 years? Your pet project can even build a decent car after 30 years, let alone competing in the industry. Hati², salah undi dapat . Only in malaysia, vote wrongly you get a PM hell bent on reviving all his pet project. Congrats Malaysia for choosing sooooo wisely. What choice do we have? One side tak habis-habis with his car project while the other side with his 1Malaysia project. Explored for the future beyond of rechargeable batteries in the automotive market, as well as the development of green connected vehicle tech, wireless communications to provide connectivity between car-to-car, between vehicles and infrastructure (car-to-X), infrastructure and wireless consumer devices. Other areas also include development such as rapid prototyping and 3D-printing, Internet of Things (IoT)-based devices, as well as in e-mobility. our MIMOS can lead on generating these tech solutions. The old Mahathir is back! So much for voting for a Msia baru! Start with Electric vehicle,I think still stand little hope. … Your so called many talents in Msia may be appreciate your idea too. Otherwise after you successfully made a drivable conventional car, many countries started to ban petrol and diesel car then no one will buy your car. Or its your plan for some one still build petrol car to consume your petrol??? No idea. This is 2018. You are talking like we need this sort of education. We already know la. Problem is that if the “other sectors” are filled with your cornies as a platform to milk money, the entire nation will pay for so these “other sources” will become ultra rich. Why always concentrate to national car project only? Can we diversify to other industries too? For example, to have our own mobile phone brand. Do we have now? Desktop, laptop. Malaysia automobile market is small and we do not have the capability to sell our “national” car oversea. Next Post: AD: Visit 3M Auto Care and 3M AutoFilm at KLIMS 2018 – keep your car looking fresh and staying cool!